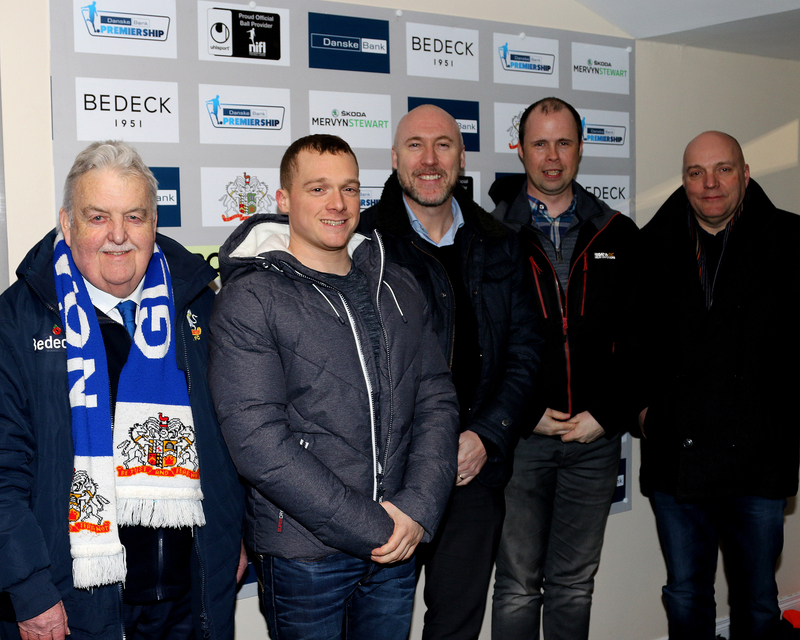 Friday night’s Danske Bank Premiership match with Glentoran was sponsored by Lockton, Clarence Street West, Belfast. Lockton is a global professional services firm with 6,500 Associates who advise clients on protecting their people, property, and reputations. 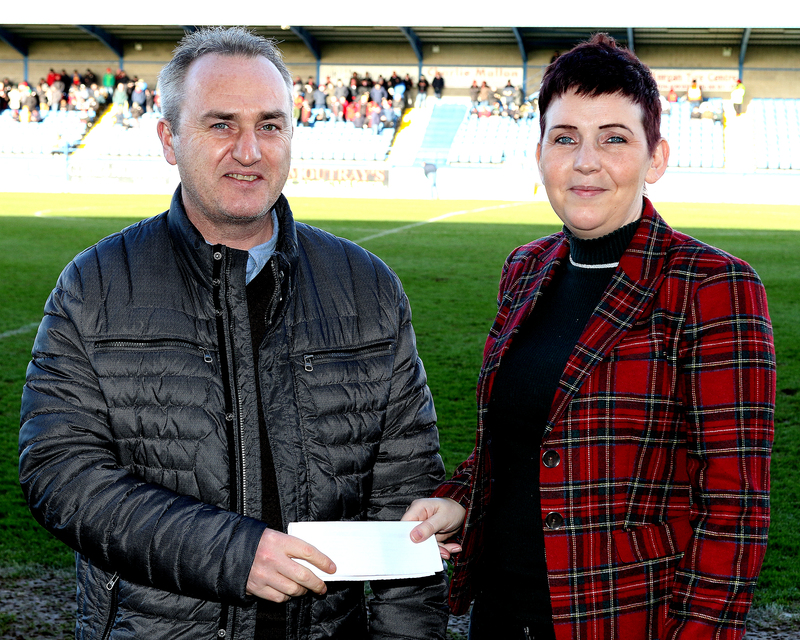 The Ball Sponsor was Bluebell Cottage, Rawdon Court, Moira, which offers a range of quality giftware and the Man of the Match Sponsor was Grave Keeping, based in Portadown, which offers grave cleaning and maintenance throughout most of Northern Ireland. 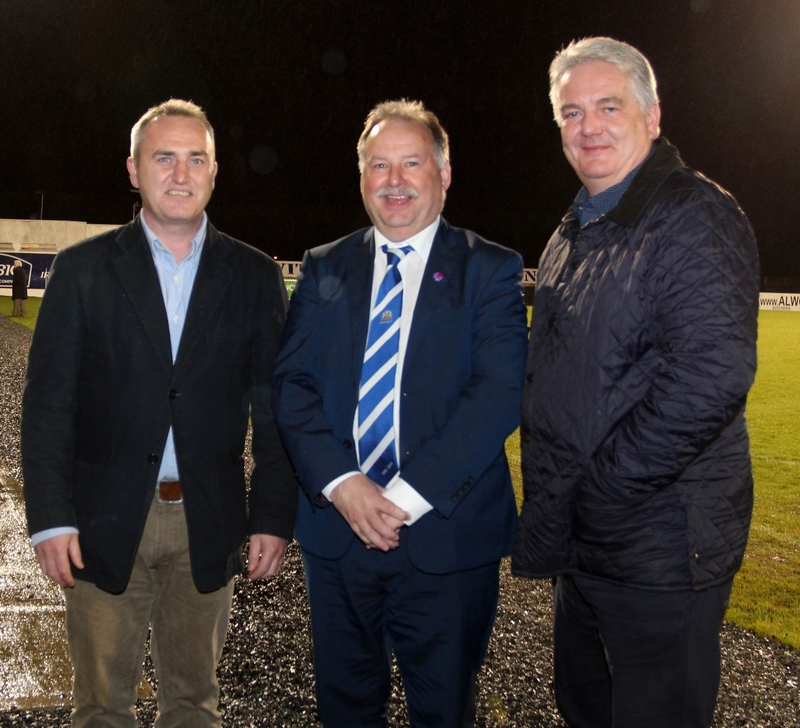 Nigel Sloan and Gary Ennis of Lockton with Glenavon Treasurer Frazer Follis. Photo by Brian Bain. 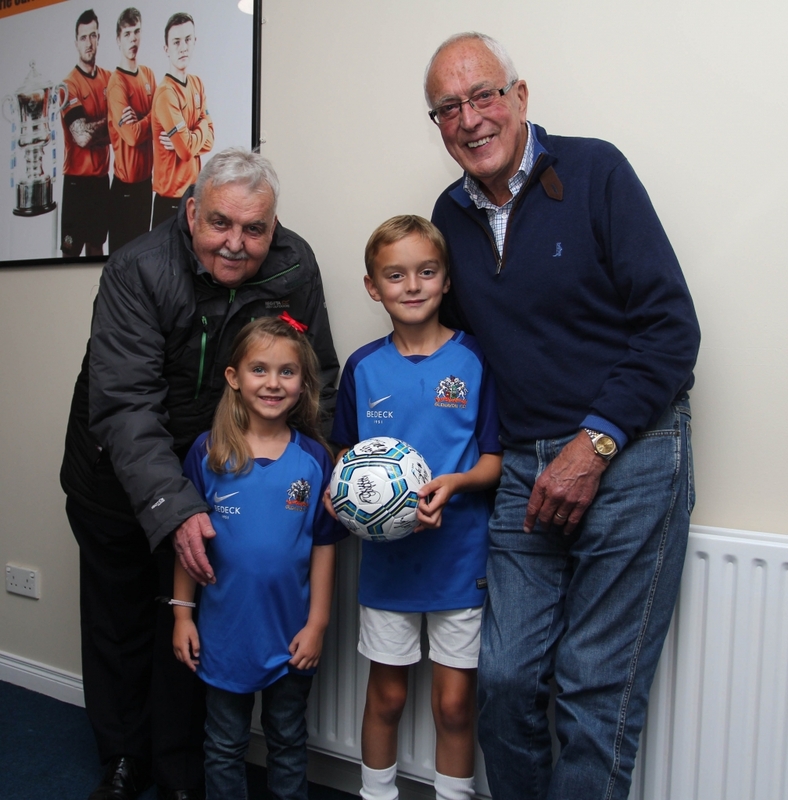 Jim Logan with grandchildren Jamie and Bonnie represented the Ball Sponsor Bluebell Cottage. 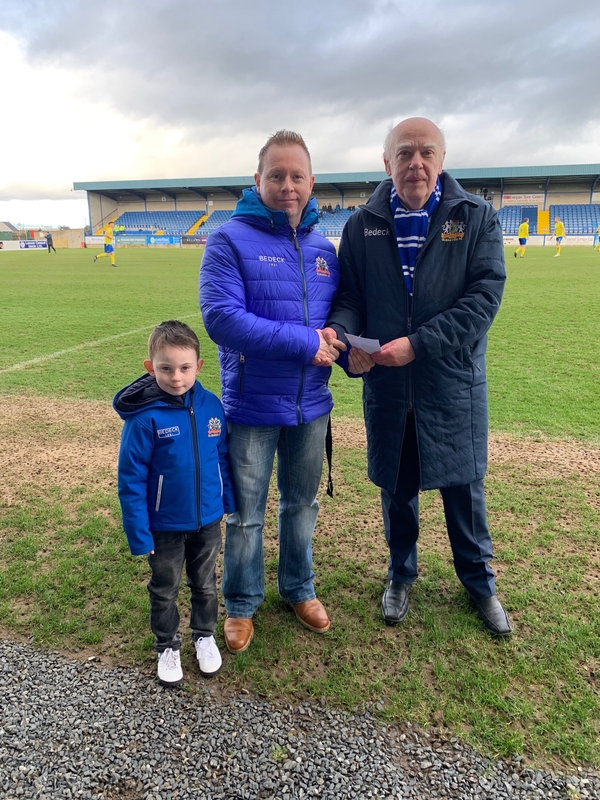 Also pictured is Glenavon Director Noel Hayes. 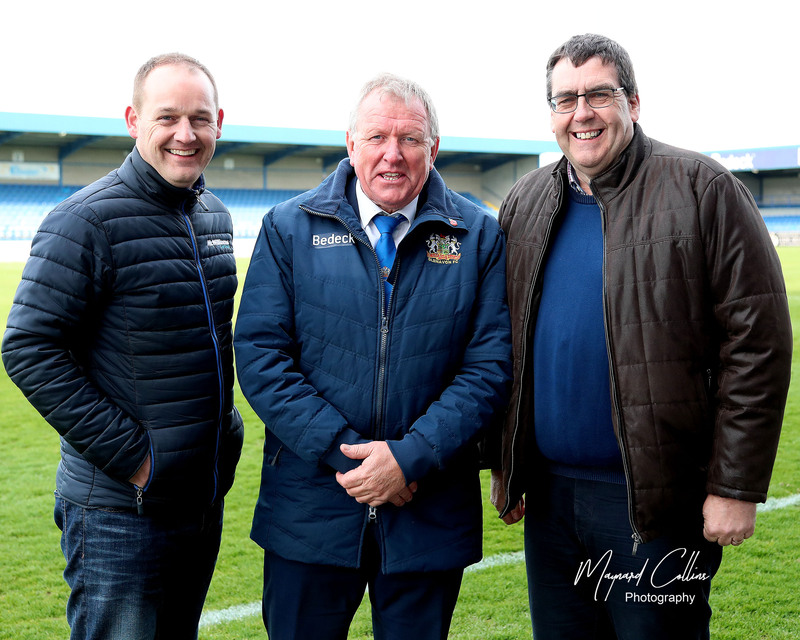 Photo by Brian Bain. 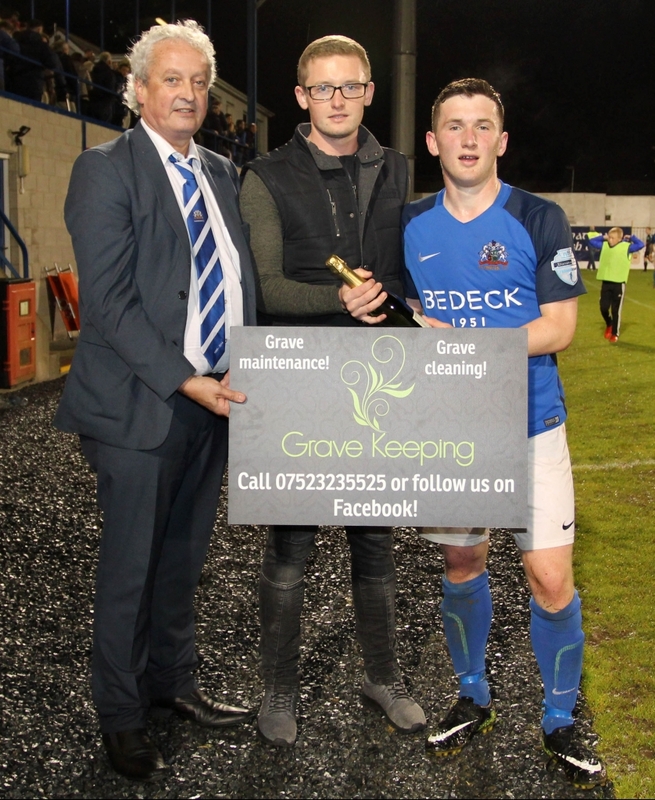 MOM Sponsor Jonny Drury of Grave Keeping with Glenavon Commercial Manager Eddie Drury and Man of the Match Bobby Burns. 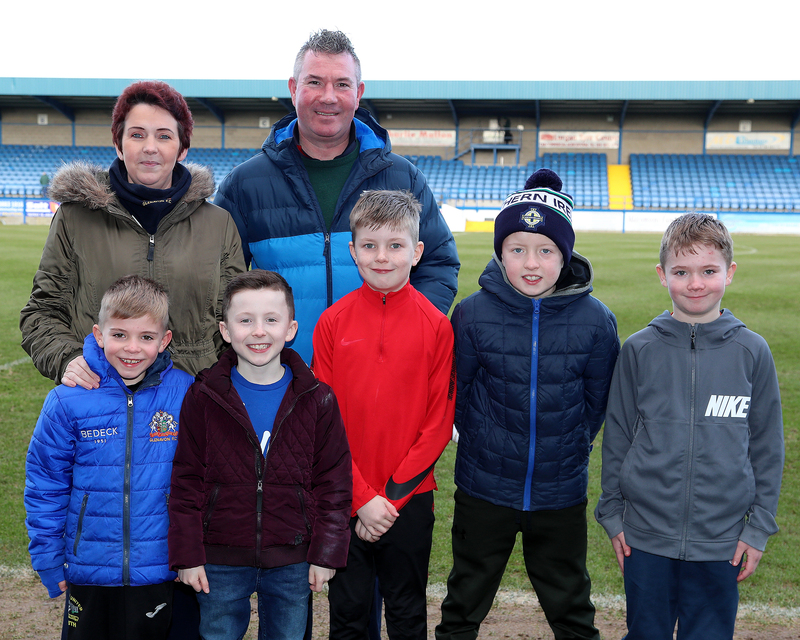 Photo by Brian Bain.